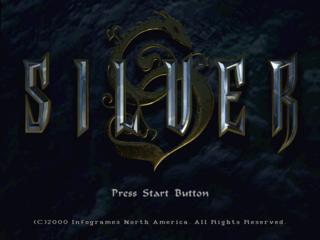 Silver, known as Silver: Hakugin no Maou (シルバー ～SILVER・白銀の魔王～) in Japan, is an action role playing game developed by Spiral House and originally published by Infogrames for PCs in August 1999. The following year it was brought to the Sega Dreamcast. In Japan, the PC version was published by Sega.